All agreements constitute an 'At Will' contract. You may terminate my services at any time without cause. Gulfwebs.com can elect to discontinue support at anytime without cause. All hosting charges for websites are paid annually. There is no proration. Hosting charges for websites not paid by due date will incur an additional re-connection charge. Hosting charges begin when client nameservers have been set to NS1.GULFNS.COM, NS2.GULFNS.COM. Payment Methods We gladly accept cash, checks, and PayPal. For nonstardard billing amounts, a custom PalPal button will be provided to customers wishing to use the 'PayPal/Credit Card' option. There will be a $50.00 fee charged for NSF checks as well as suspension of service until account is rendered current. Some websites require custom software that may or may not connect to a MySQL database. All software and databases are delivered as is and contain no guarantee unless a warranty is agreed upon. Website items needing maintenance that are not under warranty will incur additional programming charges. SEO optimization can be performed for your website but will not come with a ranking or SERP guarantee. While above average search engine results are common with the websites Gulfwebs.com develops, there are many factors that will affect your actual ranking(s). 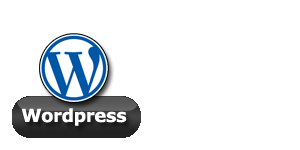 All website maintenance and website development efforts require a deposit for work to begin. Mile stone payments may be defined and/or required. Final payment is due immediately after final work for website has been completed. Gulfwebs.com reserves the right to suspend activation of new websites or suspend service of existing websites until final payment has been made. Customer support may be phoned in (850.982.5943) or emailed (support @ charliejones1.com) 24/7/365. Every effort will be made to address the issue as soon as possible. Prices are subject to change without notice. 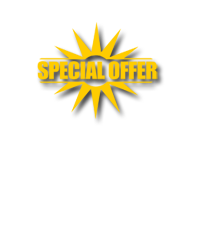 All pricing will be based on lastest list at http://www.gulfwebs.com on the 'RATES' web page.